Tyler Henry doesn't shy away from difficult conversations. On Thursday's all-new Hollywood Medium With Tyler Henry, the famed clairvoyant gave several moving readings that featured sensitive topics. 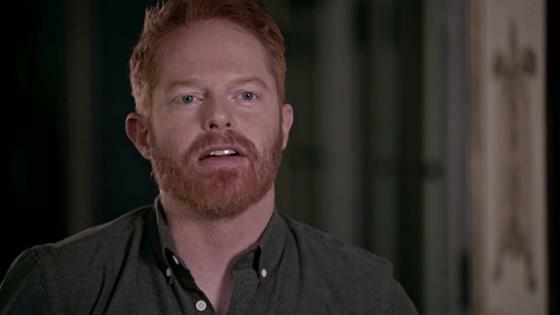 For starters, the 23-year-old psychic sat down with Jesse Tyler Ferguson and touched on some illegal activity done by the Modern Family actor's late great-grandfather. Specifically, while connected to Jesse's grandmother, Tyler explained that an "unfaithful" male family member was involved in the "movement of illegal things." Furthermore, the medium relayed that the "sketchy" man used a connection to a judge to sway a legal case. "I feel like we're talking about my great-grandfather, who I'm also named after, he has a history of moving around," the 43-year-old actor confessed. "He was charged with embezzlement. He was charged with a murder that he was acquitted from." Understandably, since Jesse's grandmother always "spoke very highly" of his great-grandfather, the industry veteran was eager to know more about this situation. After Jesse asked for clarity about why his grandmother kept this a secret, Tyler revealed that she may've intentionally turned "a blind eye." "Shame is such a powerful emotion," Tyler shared with the TV star. "It's one of those things that's so complicated and especially with families. Though our parents' actions don't define who we are, so many people feel defined by who their parents are." On the topic of family secrets, Jesse chose to ask Tyler how his grandmother felt about his sexuality. 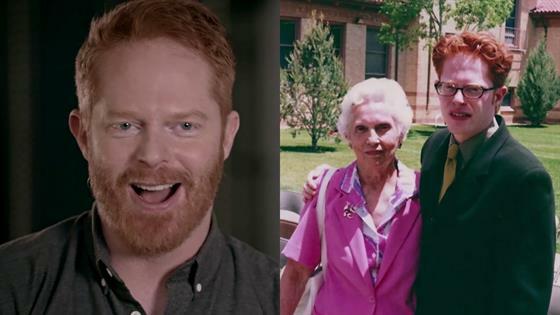 Despite being so close with the late matriarch, the Broadway veteran admitted that his "sexuality was never talked about." However, since Jesse has a "great marriage" and is eager "to have a big family," he wanted insight into how his deceased relatives feel about his life. "I've always been curious like, what they would have said—had they known," Jesse inquired. Although Tyler didn't have a direct answer for Jesse, he noted that everything the actor brought up made the spirit feel "proud." "She, in some sense, is very much proud that these things have been brought up because there's something to be explored and discussed," the E! personality expressed. "I'm sure that equates also to the sexuality side of things." Following the reading, Jesse concluded that he thought "shame is hereditary." "I do think that did sort of reflect in me having a life that my grandmother knows nothing about," Jesse pondered. Vanderpump Rules star Lala Kent also experienced an eye-opening reading with Tyler. Following the death of her father, the reality TV star was hopeful "to feel a connection." Even though the Bravo celebrity "very much needed" to meet with Tyler, the beloved medium actually had several messages for Kent's loved ones. Not only did Tyler confirm that Lala's dad "wasn't able to say everything he wanted to say," he revealed that the spirit had important messages for Kent brothers. Specifically, the spirit encouraged Lala's younger brother Easton to continue on in the family business and also wanted to "validate" his oldest son from a previous relationship. Yet, things got truly emotional when Lala's dad expressed a hope that her mom would some day move on. "Don't say that," Lala quipped. "If she ends up being with someone else, he's kind of bringing up like helping them connect," Tyler further stated. "'Cause there's still a feeling of, 'She needs love.'" Unsurprisingly, a tearful Lala really felt that her mom needed to hear that message from the other side. While Lala was the one who received the reading, she wasn't surprised when there weren't many messages for her. "It wasn't much about me and I know why," Lala relayed. "He and I were just like this. I never felt like anything went unspoken. I never felt like we went a minute without not being on the same page." In fact, for Lala, this whole experience was about making sure that her family was okay. See everything else that went down on this week's episode, including more of Holly Robinson Peete's impromptu reading, in the recap video above!